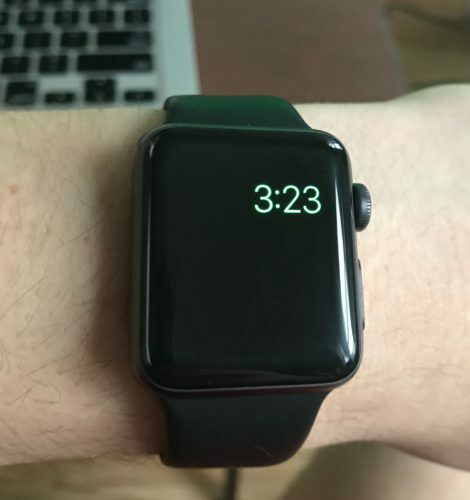 My Apple Watch Only Shows The Time! Here's The Real Fix. 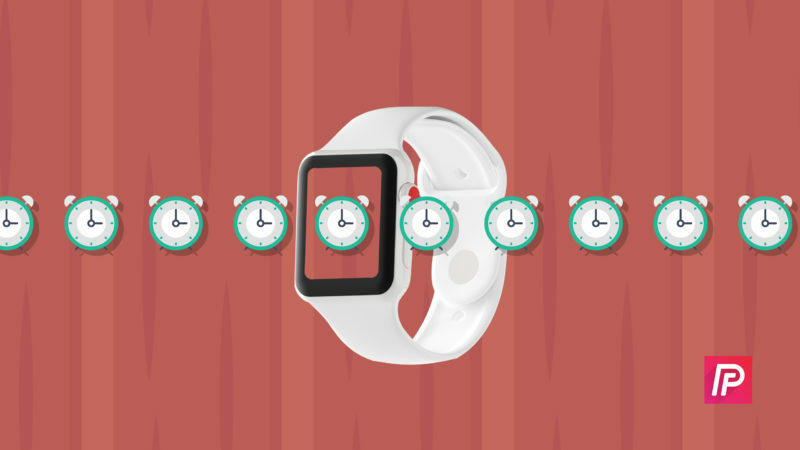 You are at:Home»Apple Watch»My Apple Watch Only Shows The Time! Here’s The Real Fix. Your Apple Watch is only showing the time and you don’t know why. Any watch can tell you nothing except the time, but you bought an Apple Watch because it does so much more. In this article, I’ll explain why your Apple Watch only shows the time and show you how to fix the problem! Why Does My Apple Watch Only Show The Time? Your Apple Watch only shows the time because it’s in Power Reserve mode. When an Apple Watch is in Power Reserve mode, it shows nothing but the time in the upper right-hand corner of the watch face. To kick your Apple Watch out of Power Reserve, press and hold the side button. Release the side button as soon as you see the Apple logo in the center of the watch face. Give your Apple Watch a minute to turn back on — it can sometimes take awhile to get out of Power Reserve. Take a look at my other article if your Apple Watch has been stuck on the Apple logo for more than a few minutes. My Apple Watch Is Stuck In Power Reserve Mode! If you’ve pressed and held the side button, but your Apple Watch is still in Power Reserve mode, you probably have to charge your Apple Watch. Do you see a small red lightning symbol next to the time? That means your Apple Watch doesn’t have enough battery to leave Power Reserve mode. 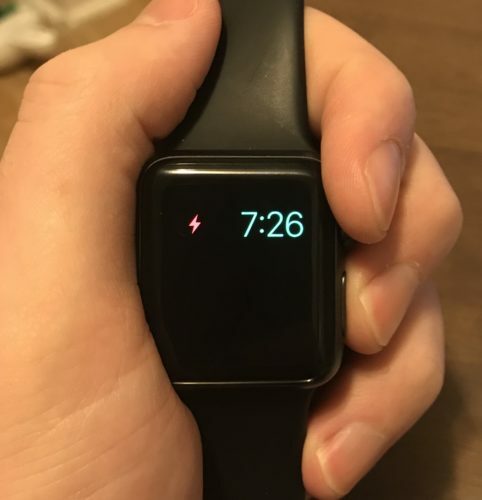 To charge your Apple Watch, place it on its magnetic charging cable and connect it to a power source. It typically takes about two and half hours to fully charge an Apple Watch, but you’ll be able to take it out of Power Reserve mode much sooner than that. My Apple Watch Isn’t In Power Reserve Mode! In the unlikely event that your Apple Watch isn’t stuck in Power Reserve Mode, there are other reasons why it may only be showing the time. The software on your Apple Watch may have crashed, causing it to get frozen on your Apple Watch face. If your watch face is just a standard clock, it may look like your Apple Watch only shows the time! If your Apple Watch is frozen, a hard reset will usually fix the problem. Press and hold the side button and the Digital Crown simultaneously until the Apple logo appears on the display. Once the Apple logo appears, release both buttons. Sometimes you’ll have to hold both buttons for as long as thirty seconds, so stay patient! Shortly after the Apple logo appears, your Apple Watch will turn back on. Is your Apple Watch still only showing the time? If not, great — you’ve fixed the problem! If your Apple Watch is still only showing the time, there may be a deeper software issue lurking behind the scenes. Our last troubleshooting step, erasing all content and settings, will help you eliminate any hidden software problem! When you erase all content and settings on an Apple Watch, everything gets deleted and your Apple Watch will be restored to factory defaults. It’ll be like you’re taking your Apple Watch out of the box for the very first time. You’ll have to pair it to your iPhone again, configure your settings, and reinstall your apps. To erase the content and settings on your Apple Watch, open the Settings app on your Apple Watch and tap General -> Reset -> Erase All Content and Settings. 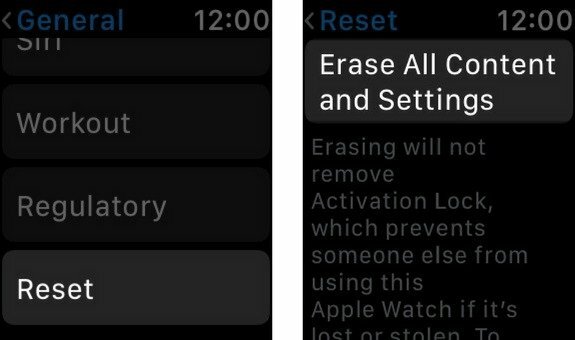 Finally, tap Erase All when the confirmation alert appears on the watch face. Your Apple Watch will restart once the reset is complete. 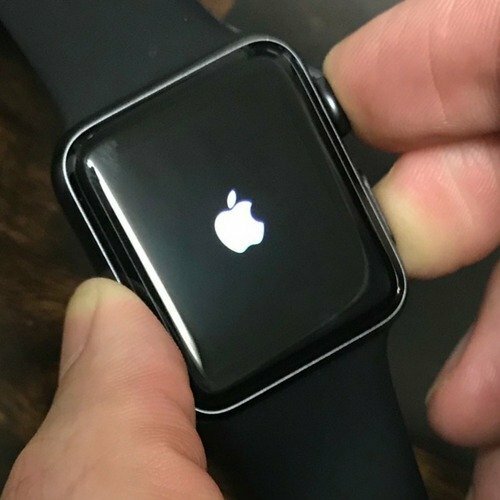 If your Apple Watch still only shows the time after you’ve erased all content and settings, there may be an issue with your Apple Watch’s display. Although this is unlikely, you can try scheduling an appointment at your local Apple Store to see if they have a solution for the problem. You’ve fixed your Apple Watch and now you can do more than just check the time. The next time your Apple Watch only shows the time, you’ll know how to fix the problem. Leave me a comment down below if you have any other questions about your Apple Watch! Previous ArticleThe MyAT&T App Isn’t Working On My iPhone! Here’s The Real Fix. Next Article iMyFone D-Back Review: Recover Data On Your iPhone, iPad, & iPod!